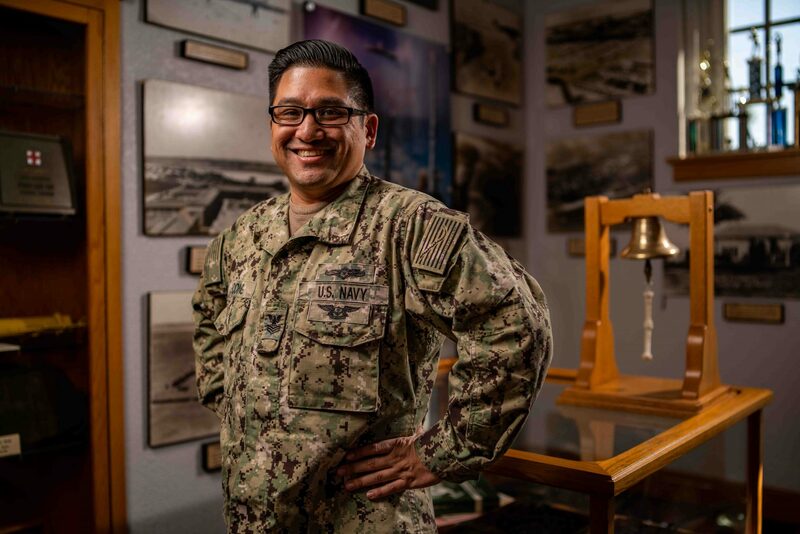 U.S. Navy Petty Officer 1st Class Jonathan Cuaycong, a 1998 Saint Peter's Prep graduate and native of Jersey City, is serving at Fleet Weather Center San Diego, providing full-spectrum weather services to shore-based commands and afloat naval units. As a Navy operations specialist, Cuaycong is responsible for assisting shipboard operation and navigation by using surveillance radar to report other ships and planes in the area. Cuaycong credits success in the Navy to many of the lessons learned in Jersey City. Jersey City Medical Center has been recognized as a DNV GL Healthcare certified Hip & Knee Replacement Program. The certification, based on standards set forth by DNV GL – Healthcare and considering the guidelines of the American Academy of Orthopedic Surgeons, recognizes program excellence in patient care and outcomes and validates the hospital’s excellence across the spectrum of hip and knee replacement care, from diagnosis to treatment, rehabilitation, education and outcomes. The certificate is valid for a period of three years from the effective date of certification. To learn more about the Orthopedic Institute at Jersey City Medical Center, or to make an appointment, call 844-63-ORTHO (844-636-7846) or visit rwjbh.org/ortho. According to a press release from the office of Hudson County Prosecutor Esther Suarez, on April 1 detectives from the Hudson County Prosecutor’s Office Homicide Task Force charged two adult males and one juvenile male with homicide and weapons charges in connection with the murder of 17-year-old Jayden Fondeur of Jersey City in September 2018. Following a joint investigation with the Jersey City Police Department, charges were filed against Isaiah Huggins, 19, Rayquan Carmichael, 18, and a 16-year-old juvenile, all from Jersey City. On Tuesday, Sept. 18, 2018, Jersey City Police found Fondeur in front an Old Bergen Road address with gunshot wounds to his head and neck. He was pronounced dead at approximately 6:55 p.m. and the Regional Medical Examiner’s Office determined the cause of death to be gunshot wound of the neck and the manner of death to be homicide. Two local students from High Tech High School from the Hudson County Schools of Technology are among the first recipients of an Amazon Future Engineer Scholarship. The $40,000 scholarship is to study computer science at a university of their choosing and receive a paid internship at Amazon after their freshmen year of college, one of the only computer science programs to offer both a scholarship and an internship. The students, Fady Besada and Abakir Adel Hanna, are two of 100 high school senior students from underserved communities across the country that will receive this first ever scholarship. Barnabas Health Medical Group and Jersey City Medical Center have announced the addition of Pavonia Primary Care, its newest primary and specialty care center, in Journal Square at 600 Pavonia Avenue, 2nd floor, Jersey City. Four primary care physicians will be available to offer convenient, comprehensive health care. The providers will offer annual physical exams, laboratory testing, immunizations and vaccinations such as the flu shot, they will diagnose and treat common medical problems, discuss healthy lifestyle choices and refer patients to medical specialists when necessary. The facility will be open Monday through Friday, from 8:30 a.m. to 5:30 p.m. and every other Saturday from 9:00 a.m. to 3:00 p.m. Street parking is available as well as public parking in nearby lots available at a discounted price for patients. Pavonia Primary Care, which is now open, is designated a Horizon Blue Cross Blue Shield OMNIASM Health Plan Tier 1 and accepts most major insurances. The American Red Cross encourages eligible donors to give blood during National Volunteer Month this April. Eligible donors of all blood types – especially type O – are needed to help ensure blood products are available for patients this spring. Volunteer donors are the only source of blood products for those in need of transfusions, and the Red Cross salutes the volunteer blood donors who help fulfill its lifesaving mission. While donors of all blood types are needed, the Red Cross currently has a severe shortage of type O blood donations and urges type O donors to give now. Make an appointment to help save lives now by downloading the free Red Cross Blood Donor App, visiting RedCrossBlood.org or calling 1-800-RED CROSS (1-800-733-2767). The next upcoming opportunity to give blood in Hudson County will be April 30, from 3 – 8 p.m., at Hoboken Historical Museum, 1301 Hudson St.
For the third consecutive year, Saint Dominic Academy, Jersey City STEM students in both 7th and 10th grades had the opportunity to explore careers in engineering through a workshop held at TITAN Engineers PC in Union. The firm is owned by SDA alumna Cheryl Higgins Wong ’95 and her husband, Nicholas Wong, SPP ’94. As part of the workshop, the girls were introduced to the various types of engineering disciplines and then had the opportunity to visit with individual engineers to learn about the projects that they were each working on. According to their website (titanengineers.com), TITAN is a professional structural and consulting engineering corporation that provides comprehensive professional engineering services in structural design, investigation and evaluation. Fifty to 90 medical marijuana dispensaries will be needed in New Jersey in the next three years to keep up with the Medicinal Marijuana Program’s rapidly expanding patient population, according to a New Jersey Department of Health report. The report shows adding more access points for patients to get therapy will reduce current prices and drive times, and geographically diversify the market. The report indicates the need to expand cultivation capacity. The Department selected six more businesses in December 2018 to apply for permits to grow, manufacture and dispense marijuana. Last year, the Murphy Administration added five new medical conditions (anxiety, migraines, two forms of chronic pain and Tourette’s Syndrome), and in January added opioid use disorder coupled with medication-assisted treatment. This has led to a total of 43,710 patients participating in the program — 26,687 of whom joined since the Murphy Administration began. New Jersey’s six Alternative Treatment Centers nearly doubled their revenues from 2017 to 2018, earning $29 million and $53 million respectively. The top five medical conditions among patients who have qualified for the program are: Chronic pain due to musculoskeletal disorders (25.4 percent), anxiety (20.2 percent), intractable skeletal spasticity (19.9 percent), PTSD (8.8 percent), and severe or chronic pain due to cancer or HIV (6.85 percent). News from leading newspapers and magazines serving Hudson County, NJ.